Author Signings at Lift Bridge during "A Taste of Brockport"
During "A Taste of Brockport" hours Lift Bridge will be giving you a different kind of tasting! 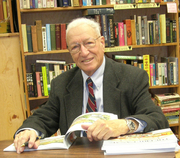 Stop in and get a "taste" of 4 different authors who have written books about The Erie Canal. Music too! ** Ruth Rosenberg-Naparsteck and Richard Kron representing Herons Bend Production and Peter Spier's Erie Canal. Peter Spier is currently considered a "single author." If one or more works are by a distinct, homonymous authors, go ahead and split the author. Peter Spier is composed of 11 names. You can examine and separate out names.